Poverty is a complex problem that requires shared solutions. The Network2Work, a collaborative program offered by Piedmont Virginia Community College, has found a way to address that complexity head-on. By working with a network of employers, service providers, and “peers” in the community, the Network2Work has established a new approach to lifting people out of poverty. MACAA has participated in this effort since the beginning. Nancy Kidd, Hope House Director, was one of the first peers to participate in the program—sponsoring job-seekers on the path to self-sufficiency. Now, we are excited to bring more of our staff on board with this collaborative approach. On October 22, our Head Start Family Advocates and Rural Outreach Director joined the program as peers. They too will be able to connect job-seekers with opportunities to overcome obstacles, gain new credentials, and achieve living wage employment. During a training by Sarah Mendoza, Peer Network Coordinator, we learned how to help people access the resources they need to attain additional education and thrive in a new job. Our staff already work hard to help their clients achieve their own goals. Now they have additional tools to strengthen our own services and connect with other providers. Partnerships are critical to MACAA’s work. We are thrilled to participate in the Network2Work, which brings the whole community together to make living wage employment a viable path out of poverty. Thank you to Sarah Mendoza for showing us the ropes! Congratulations to Project Discovery Graduates! With the new school year underway, MACAA Project Discovery is hitting the ground running with workshops and campus visits for new and returning students. 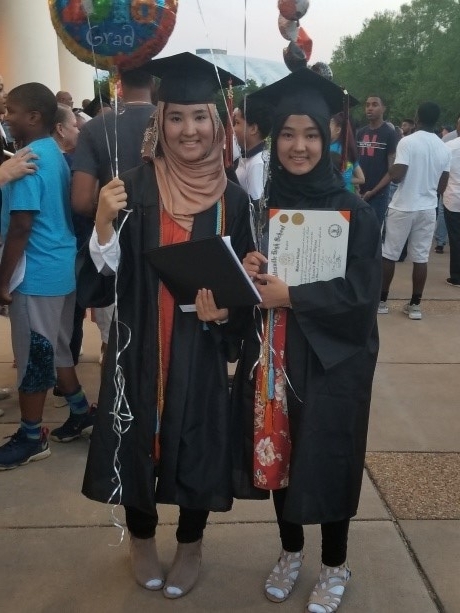 We are also reflecting on the amazing accomplishments of our 2018 graduating class—90% are enrolled in a wide range of colleges and taking the next steps of their educational journey. Project Discovery is a critical resource for first-generation college students. In addition to providing mentorship and individual direct support, we work to remove barriers that can get in the way of college enrollment. For example, we provide SAT fee waivers, assistance navigating financial aid, and academic scholarships. Twenty-seven graduating seniors were awarded scholarships through Project Discovery in 2018—through our funds and with the help of our partners at the Nelson County Community Fund and SOAR VA529—totaling $36,200. 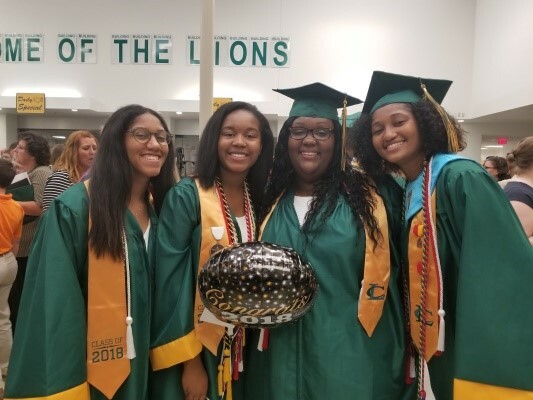 We want to make sure that we have the same financial support in place for our next cohort of seniors, and we need your help to make that happen! Please spread the word about our upcoming Scholarship Bingo Fundraiser on Saturday, September 29, at MACAA’s main office from 1—3pm. For more information, contact tdowell@macaa.org—or find us on Facebook at MACAA Project Discovery. Congratulations to all of our 2018 graduates—and good luck at the wonderful schools they are attending this fall! Peter G. Hawes, a recent graduate of the Batten School of Leadership and Public Policy at the University of Virginia, has joined the Monticello Area Community Action Agency (MACAA) as their Senior Program Director. The Senior Program Director is responsible for overseeing several of the agency’s programs, preparing grant proposals, and reporting on program outcomes. This position also serves as a member of the senior management team and supports and promotes the mission, vision, and values of the agency. 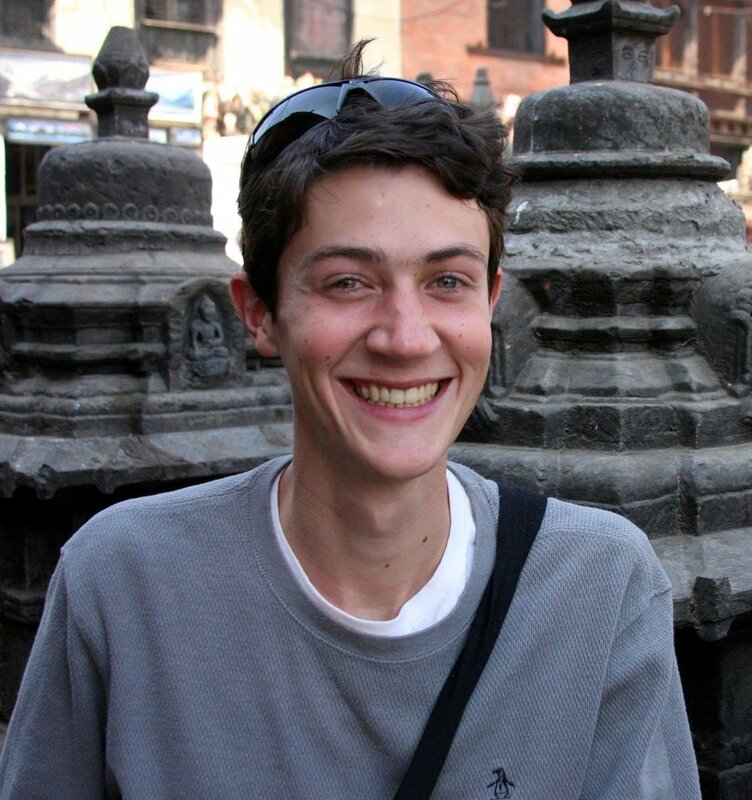 Mr. Hawes, a Fulbright Scholar who worked in Nepal as a teacher and school administrator, also worked as an intern at the International Rescue Committee in Washington, DC and completed a project at the National Community Action Foundation. He brings with him skills in research and analysis, strategic planning for nonprofits, and public engagement at multiple levels. I am delighted to report that two of our MACAA Head Start students have been accepted at the prestigious Peabody School for the 2018-19 kindergarten class. In addition, one of their younger sibling has been accepted into the prekindergarten program. All of these children have earned a full scholarship (including tuition and all fees) to Peabody, which is a special school for intellectually advanced children. As the founder of Peabody School and the current Director of MACAA's Head Start program, this is a dream come true for me personally. I had always wanted to establish a connection between Head Start and Peabody and tried back before the school was founded in 1994. The time wasn't right then, however, but now that dream is being realized. I believe strongly that there are academically talented students in all populations, and it is our job to find them and give them the opportunities that a place like Peabody offers. I urge you to check out the Peabody School website (www.peabodyschool.org) to learn more about he school. CHARLOTTESVILLE, March 19, 2018— Harriet Durling Kaplan, Executive Director and Head Start Director of the Monticello Area Community Action (MACAA) was recently honored by the Blue Ridge Mountains Rotary Club with two prestigious awards. She was voted 2017’s Citizen of the Year for her “Exemplary Service above Self.” In addition, she was named the Paul Harris Fellow for 2017. With this fellowship came a $500 award to be donated to the nonprofit of her choice. Of course, she chose MACAA as her charity. Kaplan, who founded Charlottesville’s prestigious Peabody School in 1994, graduated from Smith College in Northampton, Massachusetts with a bachelor’s degree in economics and from the University of Virginia with a master’s degree in elementary education. She was named MACAA’s Interim Executive Director in March of 2016 and Executive Director soon thereafter. She added the job of MACAA Head Start Director in January of 2017. Harriet serves in the role of Executive Director on a pro bono basis and donates back 90% of her Head Start salary to MACAA Head Start. Kaplan is dedicated to serving her community and has been doing so for the past 24 years. Jill just had her fifth birthday party, and she didn't receive any toys. Was she sad? No. She was ecstatic! All of the children who came to the birthday party brought something that Jill had asked them to bring--shoes and socks for Head Start children. Jill and her sister Isabelle were taught by their parents from an early age about the importance of giving to others. Two years ago, Isabelle's party netted coats, hats, and gloves for our Hope House program. This year, it was Jill's turn. Jill chose MACAA Head Start from among a list of charitable organizations that her mother brought to her attention. It was no easy task for her to choose, but after several weeks of deliberation, Jill made her decision. The accompanying photograph shows Jill with all of the shoes and socks that she collected. What a wonderful surprise it was for us to receive Jill's very selfless gift! Check Out Our Children's Accomplishments! Please click here for our 2016-17 Annual Report. You will see that our children achieved great gains from fall to spring in the areas of social-emotional development, language, literacy, mathematics, cognitive, and motor skills development. Head Start truly does give its students a "head start" in kindergarten. The Girl Scout Troup 803 (Girl Scouts of Virginia Skyline) conducted a Stuffed Animal Collection Drive as part of their Bronze Award Project. They collected new stuffed animals for the children of Hope House and SARA. We offer our sincere thanks to these wonderful rising 5th graders for their demonstration of caring for our children. Our teachers make us proud everyday! Our teaching team in the Ferguson classroom, Shawn Wells and Isaac Edwards, was recently featured in an online video produced by ReadyKids. Our partnership with ReadyKids brings Play Partners into the classroom for additional learning opportunities for our Head Start children. Please watch the video below and learn about how Ready Kids Play Partners taught our Ferguson students about "good touch" and "bad touch" to keep kids safe! We are delighted to announce that MACAA has hired a new Project Discovery Director. Taneia Dowell has been involved with Head Start for several years. 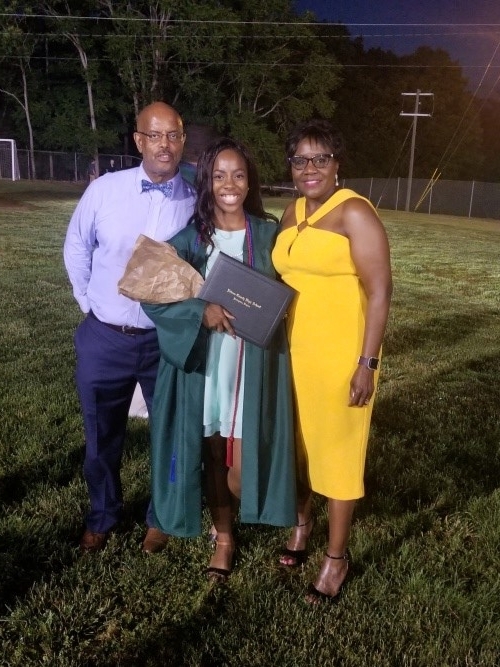 She first came to us as a parent and Policy Council representative, and then she joined the staff as an Assistant Teacher, where she excelled. Next, Taneia moved to the position of Family Advocate and was very successful in that role. When the Project Discovery position came open, it was a natural fit for Taneia, as she had worked with teens in the public schools in a previous job. While we were sad to see her leave the Family Advocate role, we were delighted to be able to promote someone from within, and we welcome Taneia with open arms as she enters this new and exciting phase of her career. Demetria Manifold was a beloved MACAA Head Start teacher who was a mentor to other teachers and a friend to many. We lost her too soon. Her family has asked that donations be made to MACAA Head Start inher honor. We welcome your contributions to a cause that she loved. If you make a donation to honor Ms. Manifold, please note on your check that it is in her memory. When all of the money had been counted and all of the credit card charges added up, the Pop-Up Boutique raised over $1,500 to benefit MACAA's programs. Thanks to all who worked hard to make this event a success as well as to all of those who made purchases, both at the sale and during the past week. Pop-Up Boutique and Resounding Success! Everyone had fun at the Pop-Up Boutique this weekend. Staff members were welcomed between 3:00 p.m. and 5:00 p.m. on Friday, and several found exciting things, especially in the jewelry department. On Saturday morning, we had people at our door by 7:00 a.m. despite the fact that we didn't officially open until 8:00 a.m. Of course, we welcomed them in. 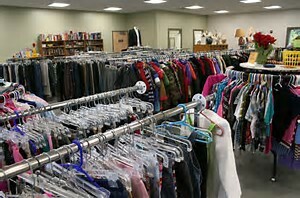 They too, found great bargains with clothing from Land's End, J Jill, Banana Republic and more. By the end of the morning, we had raised almost $1000. What a great event! It was such as success that we are going to repeat it in the springtime, when even more people are looking for yard sales. We expect to reach the $1000 mark this week, as the jewelry that we still have will be available to staff this week in my office. Looking for some new threads and want to give back to your community? Join the MACAA Board of Directors at the MACAA building at 1025 Park Street in Charlottesville to shop their Pop-Up Boutique. The Pop-Up Boutique will be held in conjunction with an Open House, where the community can learn more about MACAA, its programs, its board, and its history. Shopping at the boutique is a great way to find some new and new-to-you items while also supporting the great programs that MACAA runs for low-income members of our community. Items in the boutique include men’s and women’s clothing and small household furniture and decorative items. The Pop-Up Boutique and OpenHouse will be on Friday 24 February 2017 from 5:30 p.m. until 7:30 p.m. and Saturday 25 February 2017 from 8:00 a.m. until noon. For information, please contact Harriet Kaplan, Executive Director/Head Start Director, at 295-3171 x3044 or via email at hkaplan@macaa.org . Have you heard about Amazon's donation program? It's called AmazonSmile. If you already buy things from Amazon.com, you can buy them from AmazonSmile, and 0.05% of qualifying purchases will be donated by Amazon to a charity of your choice--and we hope that the Monticello Area Community Action Agency (MACAA) will be that charity. All you have to do is to go to amazon.smile.com, and you will be prompted to enter the name of your preferred charity. You only have to do this once (although you can always change the charity you want Amazon's donation to go to), and each time you buy something, Amazon will make the donation to your charity of choice. I urge you to go ahead and sign up for this easy way to support MACAA. Thanks to a generous donation from The SOHO Center, along with funding support from the Head Start Collaboration Office, each Head Start program in Virginia (including ours) received many books for their classroom. 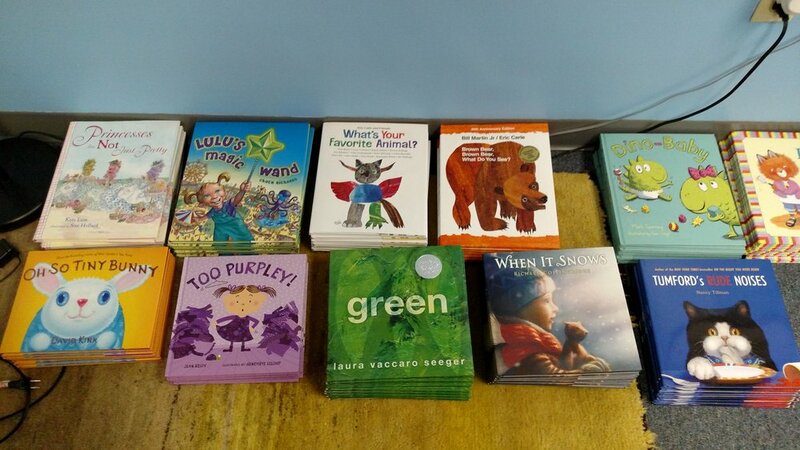 This photo shows only a few of the wonderful books that will be added to each of our 11 classroom libraries. We are very grateful for this donation and hope that other individuals or organizations will be moved to make such gifts in the future. Our children will enjoy these books for many years into the future. Happy reading! 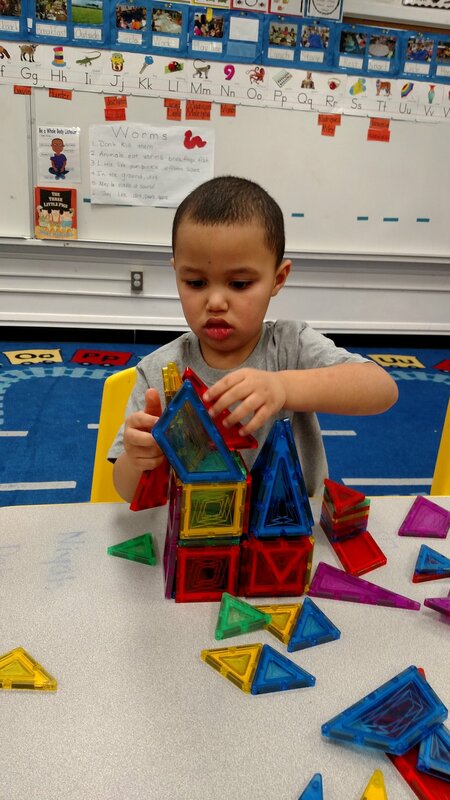 I subbed last week in one of our Head Start classrooms, and during free play time, one of the children became quite absorbed in making a very intricate construction. Most of the children used these magnetic shapes to make long "trains" or cubes. In both cases, the children used only the square shapes. This child used a whole variety of shapes, fitting them together to create something architecturally very interesting. See what you think!